Many Patients and Their Families Say "I wish I would have called you a long time ago. I didn't know what all you do and how helpful it is". Did you know hospice is covered 100% by Medicare, Medicaid, and most insurance. Hospice neither hastens passing nor prolongs a disease process. 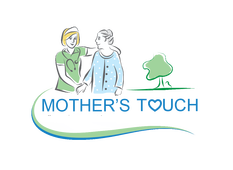 Hospice is a benefit with no cost to you and can even reduce your costs (if there is a copay on a medication related to your hospice medical diagnosis as an example). It is for patients that have a diagnosis that a doctor will certify has a prognosis of six months or less. However, there is no limit to how long a patient can remain on hospice as long as he/she continues to meet criteria. Comfort and assistance has became the goal instead of curing a disease. It is about the patient's choice for the hospice they desire, not the desire of anyone else. Regardless of family member, physician, facility staff, or anyone else, it is a time when it's all about the patient and only them and their wishes. See information about your hospice choices and more from the National Hospice and Palliative Care Organization (NHPCO), the Center for Medicare Services (CMS), or other local, state, and federal agencies or organizations for more information. Hospice is your way to access the best quality of life and retain the most independence for the longest period of time from the experts. We get to know where you are at in that and we work tirelessly to make sure that your wishes are honored and happen to the best of our ability. If you want to stay in your home (wherever that is) as long as possible, hospice can help. We want to know your medical condition intimately to assist you in being the most independent and comfortable possible. We aggressively seek any related medications, get you any equipment, or advocate on your behalf whenever and wherever possible. One of the services a good hospice provides is understanding where the whole family is at in this journey and helping each one individually get to the same destination. ​Hospice care is about the patient and their family; not about the provider. 1) activities of daily living seem to be becoming overwhelming for the patient of family? 2) treatments no longer seem to help? 3) infections, doctor or hospital visits seem to be increasing? 4) pain, fatigue, or shortness of breath seem to be getting worse or unbearable? 5) you get the a feeling from physicians or they tell you there is not much or anything they can do? These may be clues you need to visit with your Primary Care (Family) Physician or us about hospice. Possible admission is initiated with a call to us by you or by the ​patient's Durable Power of Attorney (DPOA) if the patient is not able to understand or effect the admission process. Your Primary Care Physician or a facility staff member may contact us after discussing hospice care with you and you approving the call to us. ​Hospice care is available 24 hours a day, 7 days a week. Health crises don't take off on holidays. You may have to initiate the discussion with your physician. He/She doesn't want you to think they are "giving up", they may fear they will see you less, they may have had a bad experience with a hospice in some way or with a patient of theirs on hospice. They are in medicine to cure people so they may feel they are giving up in spite of the probable benefit of hospice for their patient. However, it is reported that there are millions of positive experiences that have been experienced by those on hospice. You also have the right to sign off of a hospice or transfer to another one. That's your choice. At least give hospice the chance to talk with you and see what they can or cannot do; all free of charge per Medicare guidelines. You owe it to yourself. 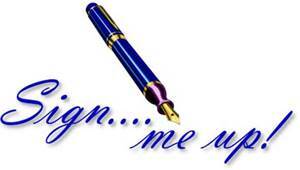 Become a member of our Patient & Family Members Only section in the future. There you can assess FAQs, submit questions to staff, access surveys, questionnaires, and polls to help us constantly improve as we desire for the benefit of all. Links to valuable information, agencies, support groups, and media are there. Try blogging a question to get an answer from other members of the area. You might ask another member if they know of a good support group and why do they enjoy that group. In the future family members will be able to Skype with their family member patient and vice versa during a nurses visit. Just imagine that you coordinated a Skype video call with your family member and their nurse. Simply get on a desktop with Skype or your cell phone and see the visit, ask questions right then, talk to your family member and see how the nurse interacts with them! Make sure they are getting all they need and deserve as promised.